"You Are More Than You Know"
The other night I was standing on my deck and staring up at the stars. It was so quiet and it was the perfect place for a much-needed retreat away from four kids, a dog, cat, the many responsibilities that go along with parenthood and keeping a nice home, and especially our circumstances. I find these moments are essential for our spiritual and emotional growth. If we don’t find time for ourselves where we can simply rest our minds from the hustle and bustle of this world, then we will most certainly not be able to hear that still silent voice within. Like Elijah when trouble comes our way when want to run to the Mountain of God to hear from God. The Mountain of course being a symbol of going higher in the spirit. But even though we seek God, we rarely do we hear God’s voice at first. We may even feel as if God has passed us by. In fact, as we search for a way out of our trouble, we may find more trouble come our way. I’m sure Elijah didn’t want to have to deal with the strong wind, earthquake and fire he met before hearing from God… But it is truly these symbolic events that lead us to the very place we are trying to find to begin with. Our trouble prepares us, tests us, breaks us, and as fire purges we also are cleansed by the very things that seem to hurt us the most… Which is why we are told to rejoice in our sufferings. Because it is producing something that is far more important within us. And I believe that is faith! And after the ground beneath has seemed to break apart, and AFTER the burning pain of fear and worry and dread leaves us broken, we are lift with only the option of trusting God’s provision… When we have nothing else, when there is no where else for us to turn, when every self effort has been spent, THAT IS WHEN WE HEAR THE VOICE! I really want to encourage you all and remind you all that the storms of our lives, are the very things that MUST happen to open us up to the wonderful gospel of faith! Trust me when I say, I wish this wasn’t the case. I wish I didn’t have to suffer, I wish I didn’t have regret, fear, worry, insecurity, and more. I wish I didn’t have to toss and turns at nights worrying about what I am going to do now that trouble and hardship has found me. But I can only blame myself for not having the faith to TRUST GOD! And when I say “myself” of course I mean my carnal ego, my enemy, my adversary. And so my suffering leads me to turn my faith away from self effort and put it back where it belongs… GOD. So, if not for these troubles, if not for being rejected, mocked, abused, sick, unemployed, mistreated… if not for having my back against the wall and my heart on the floor, if not for feeling totally weak and unable to deliver me or my family from our circumstances… I WOULD NEVER RELY COMPLETELY ON GOD AND GOD’S PROVISION! There is but one way into the Kingdom (Reign) of God (Love, Righteousness, Peace, Joy, Wisdom, Power, Life)… And that one way into the Kingdom of God is TRIBULATION. Confirming the souls of the disciples, and exhorting them to continue in the faith, and that we must through much tribulation enter into the kingdom of God. So our trials, though that be many, are in fact the greatest avenues to find the very freedom and peace we hope for. Our trials are there to remind us to take our eyes off our own strength and to cast away our thoughts of fear and to put our eyes and faith on God who is a rewarder of those who diligently seek him. And if truth be told, the quickest way to get our eyes and hope back where it belongs is to endure hardship, to be tested, and taken out of our comfort zone. It is then we cry out to God, and beg for his deliverance. It is in our hard times that we seek God the most, this is true for believer and non-believer. In the end, when troubles mount like a tsunami wave, when all hope seems lost and our efforts cannot change a thing, believer and non-believer alike will cry out to God. And God is magnified in their hearts, and when deliverance comes the truth of God’s provision is shared with others. And if we lose a loved one, and our prayers aren’t answered, we usually find that if they were answered we would never have learned all we did and become all we became because of those circumstances not changing. 3 O magnify the LORD with me, and let us exalt his name together. 4 I sought the LORD, and he heard me, and delivered me from all my fears. Notice, what we are delivered from… OUR FEAR! It is our fear that we aren’t going to make it, that we aren’t good enough, liked enough, treated right… it is our fear in so many things that causes the torment in our heart. There is no fear in love; but perfect love casts out fear, because fear involves torment. But he who fears has not been made perfect in love. And as I have written so many times before, GOD HAS NOT GIVEN US THE SPIRIT OF FEAR… And if our thoughts (spirit) of Fear aren’t from God, then they are a creation of our egotistical carnal mind. And the carnal ego man is OF this world, God is not. Which is why tribulation comes, because the ego-man must be overcome. The belief and faith in Man’s works must be destroyed, man must enter into God’s rest and that rest comes from knowing God is in control. When you know God is in control, you may be in this world, but you are no longer OF this world. And He said to them, “You are from beneath; I am from above. You are of this world; I am not of this world. Now I titled this article, “In the world not of it” for good reason. I began this essay with the story of me on my deck looking into the stars. Now I had been in prayer for weeks to “hear” from God, if you will. I had been seeking insight into my situation, into why I still had so many fears and worries when I knew deep down that it was only causing me pain. I hadn’t had any dramatic revelation (revealing) of scripture in a while. Not for lack of trying or seeking. But you can’t force revelation, you can’t make it happen, it either comes or it doesn’t. In my experience it always comes AFTER THE STORM. When your head is filled with the troubles that surround you. You can go to the mountain like Elijah, scream out to God, seek God all you want, but you won’t find God in the midst of your troubles, you will find and hear God in the moment you least expect it. For me that moment was when walking out onto that deck and looking up into the stars. Immediately the scripture about not being “Of this world” came to mind. I realized when I suffered, when I had great fear and worry that I was most definitely OF THIS WORLD… meaning I was a product of this world. And when I say “the world” I don’t mean planet earth, I mean OUR LUSTS! Because that is all that is found IN THE WORLD. For all that is in the world—the lust of the flesh, the lust of the eyes, and the pride of life—is not of the Father but is of the world. Just as Fear is not of God, neither is the torment that arises out of being a product of these lusts/fears/negative emotions. Now what came to mind as I stood there on the deck was not anything earth shattering, but it was no less profound. And how it came was like a still small voice indeed. First I staring into the stars and then a simple thought came to mind. And that thought led to another thought and so on and so on. I realized what being OF THE WORLD means, and what IN THE WORLD means. Because you can be IN something without being OF it. You can go swimming and be in the water and not be a product of the water itself. You can be in a world of trouble but you don’t need to become a product of that trouble. In this world WE WILL HAVE TRIALS AND TRIBULATION but we don’t have to become products of it, we can overcome that urge! In this WORLD we will have hard times, BUT we don’t have to become a product of it. We may have depressing circumstances in our lives, but we DON’T need to become depressed because of it. We can Overcome the WORLD (LUST)! It is a sure bet as Jesus said in this above passage, that IN THE WORLD we WILL have tribulation… but instead of letting our circumstances define us, change us, and make us into the miserable people who are OF their circumstance, we can be of GOOD CHEER and have faith because we too can and will overcome the world (lusts), because the ONE within us has already done the same. NOW WHO ARE YOU, REALLY? Who you THINK you are is a product OF this world… But who you truly are IN CHRIST is so much GREATER than the world (your lusts). The LIFE and TRUTH of who you are is ALWAYS GREATER than the lusts that are at war with you in this world. 4 YOU ARE OF GOD, little children, and have overcome them, because He who is in you is GREATER THAN HE WHO IS IN THIS WORLD. Those first four words… YOU ARE OF GOD, are four words you should take to heart. Later John writes, You are not OF the world… meaning people we are OF GOD, we are a product of God, we come from God, we are an extension of God, we are God’s children… we are NOT OF THIS WORLD! Meaning we are not a product of our lusts or emotions, we are not an extension of our lusts of emotions, we are not OUR LUSTS AND EMOTIONS… WE ARE OF GOD! Can you imagine what can be accomplished within you if you REALLY BELIEVED THIS? 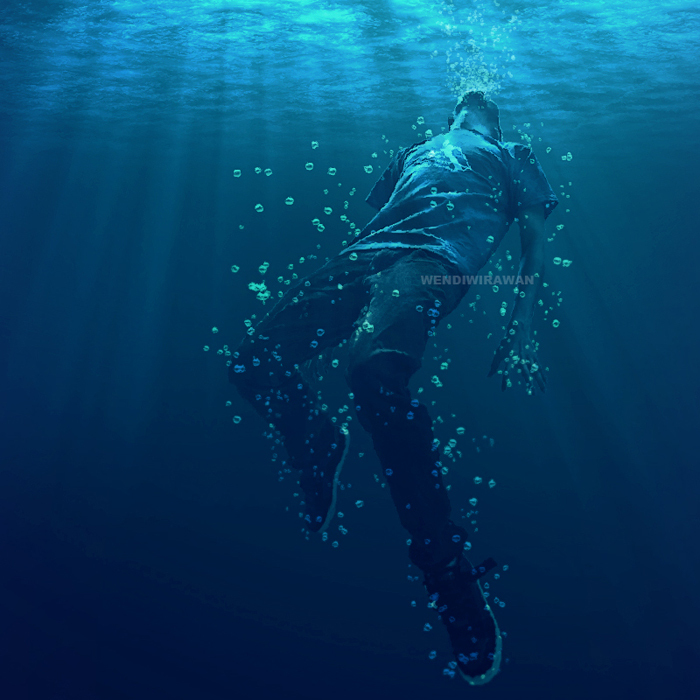 However, most people don’t REALLY believe that… And everytime we leave that truth, everytime we leave our heavenly habitation (Godly mindset) we are tricked into believing we are OF THE WORLD (our lusts)… And WHEN we fall into that trap, we begin to believe the nonsense our carnal ego has been conditioned to feed us. We start thinking we are good for nothing (because we think we are products of nothing), we think we are worthless and horrible and weak (because we think we are products of such)… Whatever a person believes they become. When you say you are worthless you confess that you are not OF GOD, but of the world (your lusts). And you begin to talk like you are OF THE WORLD. You begin to act like you are OF THE WORLD. And ultimately, in a sense, you become a PRODUCT of the world (your lusts) instead of risings above the circumstances IN THE WORLD. Some people deal with their troubles better than others. Some rise above hardship and some don’t. When people become addicted to drugs, or alcohol, when they give in to suicidal thoughts, or become abusers, it is because they have become a PRODUCT OF their LUSTS. They did not overcome the world (lusts/pains/emotions/fears/etc) they became OF the world. They felt ugly on the inside, agreed with that lie, and manifested the lie into their life, becoming the very thing they hate the most. BUT WE DON’T NEED TO GO DOWN THIS PATH! We are OF GOD not of this world. Who we TRULY are WITHIN (our true nature/spirit) is always greater than who we begin to think we are, or who people say we are. Which is why we will overcome this world (our lusts). YOUR CIRCUMSTANCES DO NOT DEFINE YOU unless you let them! YOUR FEARS DON’T RULE YOU unless you let them! We have been tricked into seeing all that is wrong and putting faith in the “worst case situation”, instead of seeing all that is right in our lives and putting faith in all the good to come. Now if that isn’t a fate created in the depths of hell (our ignorant suffering) I don’t know what is. He was in the world, and the world was made through Him, and the world did not know Him. You can look at this above passage as the literal world was created by Jesus, or you can see that “as he is so are we IN THIS WORLD” and begin to understand that WE ARE IN THIS WORLD (our lusts) and this world (our lusts) was made through us (our creative power), and the “world” (Our ego when a product of our lusts) do not KNOW THE TRUTH OF WHO WE ARE and have always been, which is why we suffer… because we have become PRODUCTS of our lusts, we have become people OF THIS WORLD, instead of people OF GOD! If it sounds like there are two distinct people within us, the TRUE US and the US WE BEGAN TO BELIEVE OURSELVES TO BE… that is because THERE ARE! The canon of scripture is filled with this truth! And this double minded man is unstable in all his ways, a house divided with fall… in other words as long as these two natures are at war we will not be able to overcome this world (lusts). There are two distinct people within us, THE CHRIST MAN and the EGO MAN, the SON OF GOD and the SON OF MAN. Two in one bed if you will. The good news is THE FIRST shall be LAST! In other words, who we think we are now will DECREASE and who we truly are is increasing each and every moment of every day! He must increase, but I must decrease. The ONE (of the world) must decrease and become the (ONE of God)! And the ONE OF THE WORLD decreases the instant we put our trust and hope in the Father and in the plan! And I know this is a hard thing to do. This is why it is so important for you to find those precious moments of peace away from the hustle and bustle of your life, as I did on my deck. It is so important to calm your mind and put your thoughts back on track. Focus on the good instead of the bad, don’t let your fear become your life, let your life overcome your fear by NOT BEING OF THE WORLD while you are IN THE WORLD! There is a good reason why scripture tells us to think on GOOD THINGS. Because we are what we think! We become what we believe! Finally, brethren, whatever things are true, whatever things are noble, whatever things are just, whatever things are pure, whatever things are lovely, whatever things are of good report, if there is any virtue and if there is anything praiseworthy—meditate on these things. THINK ON THESE THINGS… good reports not bad, hope not sad, life not death, rising above all the mess! Remember who you truly are… and what you are not… YOU ARE OF GOD LITTLE CHILDREN AND WITH GOD ALL THINGS ARE POSSIBLE! To Climb This Ladder You Must Reach Higher And Let Go Of Every Rung Beneath You. "THE READER WILL LOOK BEYOND WHAT IS WRITTEN!" "I WAS TOTALLY CAPTIVATED AND DEEPLY TOUCHED!" 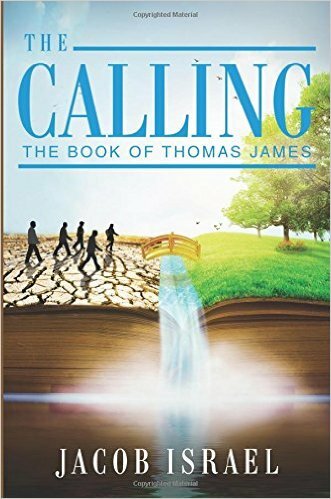 "A MUST READ FOR ANYONE SEEKING TRUTH!" Ron Ash, Author "The Apostles Guide to Happiness"
YES YOU HAVE PERMISSION TO SHARE, copy, paste, post, email, print, hand out, use, do what you will with any, and all, material found on this site. Simply credit "Courtesy of JACOB ISRAEL" and direct them here.